When you hear the word retirement, what ideas come to mind? Do you dream of spending your days on a golf course? Sleeping in as late as you want? Maybe even heading south for the winter? For many, retirement ignites ideas of lazy days, no responsibilities, and no schedule. And while doing absolutely nothing for the first time in your adult life may be a well-earned reward some eagerly strive for, many others equate that to having no purpose. If you find the idea of having nothing to do unappealing, or maybe even flat-out depressing, let us suggest a new definition for retirement. Retirement doesn’t have to mean no longer working. Retirement simply means increased freedom for your time and finances. Retirement is a golden season of life where you have the freedom to make decisions without having your job dictate your choices. Gone are the days of stressing over how long you can be gone, how much time you can spend volunteering, or choosing between a vacation and a paycheck. This perspective will actually open many doors for you to stay active if you choose to do so. Here are some possibilities you may not have thought of. This kind of dream job could be working as Santa over the holidays, becoming a park ranger, hosting a class in a craft store, or maybe even running a niche catering service. 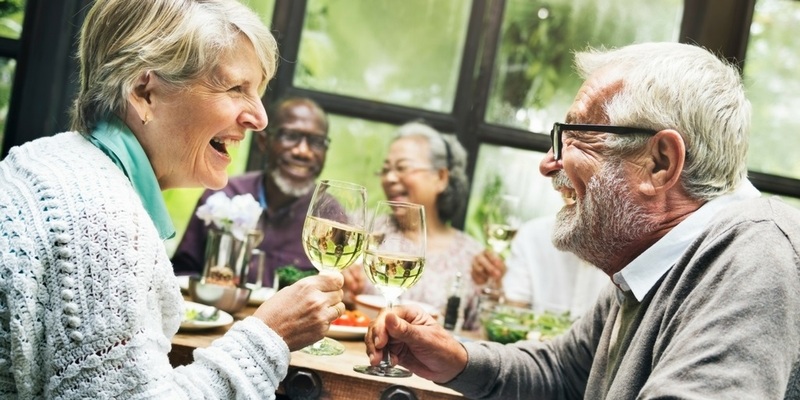 When you are financially independent, as in retirement, low or infrequent pay doesn’t have to keep you from taking on a job that you truly love. Not everything worth doing results in a paycheck. But once again, that doesn’t matter once you’re retired! Instead of spending long hours at home, you may find more enjoyment in getting out and giving to your community. Whether you volunteer by reading to children at your neighborhood children’s hospital, caring for animals at the local humane society, mentoring young adults coming out of the foster care system, or serving in your family’s church, the wonderful opportunities to volunteer are virtually endless. If you have ever felt guilty about spending long hours at work instead of with your family, now is the time to turn that around. Retirement is the perfect opportunity to invest your time into the younger generations of your family. Be intentional about using this time to get to know your loved ones even better and to create some special memories they will cherish long after you are gone. Do you have grandchildren in daycare or after-school care programs? Do you think they would be better off with a grandparent than a stranger? Now you have the ability to make that happen! Many of us still hold on to fond memories of Grandma and Grandpa’s house. Even if it is only one day a week, your grandchildren will be forever impacted by the time you spend pouring into their young lives. Maybe you have an unfinished degree you dream of completing or there’s a specialized course you’d like to begin. Well, now is the time! You have room in your schedule and you won’t even have to pay as much as you would have when you were younger. Many states offer free or reduced higher-education tuition for seniors. Also, studies have shown that the more you work your brain as you age, the longer it lasts. Cognitively active seniors with an average age of 80 are 2.6 times less likely to develop Alzheimer’s or dementia than those with less cognitive activity. (1) That’s just one great reason to go back to school! There is a strong correlation between age and successful entrepreneurship, and the numbers are in your favor. (2) Middle-age and older entrepreneurs experience much higher success rates than those who are younger. You could say your hard-earned life experience really does count for something! So, instead of seeing retirement as the end of your working life, it can actually be a rebirth—where you call the shots this time around. Whatever your retirement dreams are, whether it’s entrepreneurship, grandchildren, or frequent travel, we can help you get there. For over a decade Haydel, Biel & Associates (HBA Wealth) has been helping people like you successfully plan for retirement, allowing for a smooth transition from earning a wage to living off of savings. If you would like the guidance of an experienced professional through these critical years of your life, call us today at (626) 529-8347 or email Ricky directly at [email protected]. Haydel, Biel & Associates is an independent financial advisory firm serving individuals and families near Pasadena, California. The firm was founded in 2004 by Chris Haydel and Ricky Biel with a desire to provide unbiased, client-centered, community-based financial advice. Together, they have built a practice that has grown into a family of caring, smart professionals committed to blending proven investment methodologies with creative financial technologies that make it easier than ever to accomplish your goals. They strive to keep things simple and fun to give their clients peace of mind and alleviate financial stress. HBA Wealth takes care of their clients’ needs first and foremost and goes the extra mile to make their clients’ finances grow. To meet and see how the HBA Wealth team may be able to help, contact them today at (626) 529-8347 or email Ricky directly at [email protected].